As part of their World tour of over 60 cities this fall, Mumford & Sons will be offering its fans a groundbreaking central stage concept, and will be presenting the content of its latest album, Delta, released in November on the Gentlemen of the Road label / Glassnote Records. Fans of the group will be happy to see them again in Montreal, a few years after their visit to Osheaga! 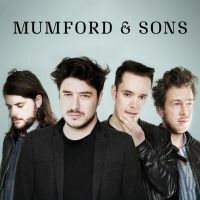 Do not miss Mumford & Sons in Montreal this winter!